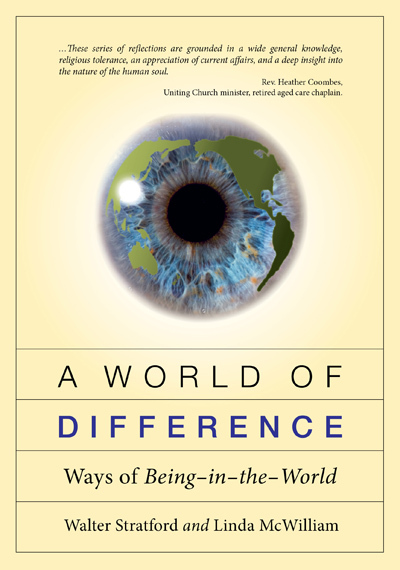 A World of Difference explores ways of being-in-the-world and highlights the connectedness of all things. From something as ordinary as breath to the extraordinary concept of Covenant, Walter Stratford and Linda McWilliam delve into such issues as authenticity, community, attachment, solitude, and the suffering that enters into every life. They bring together viewpoints from within the church as well as canvas belief systems that have emerged throughout time. They also examine how prayer, grace, story and hospitality all play an important part in our spirituality, and offer suggestions for the practice of spirituality in our everyday lives. I enclose a cheque made out to "Morning Star Publishing"
For postage to other countries, please email us with your enquiry.